The V2 Cigs should be no surprise to regular vapers and e cig users. 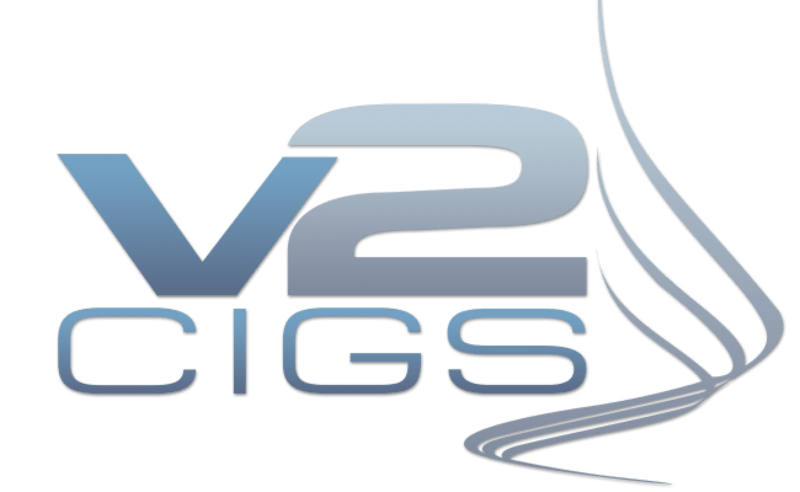 If you look around for the top e-cig retailers in the United States, V2 Cigs is definitely near the top of the heap. And, this is before you consider their v2 Disposable e cigarettes, which are dominating the market right now. The V2 is affordable, easy-to-use, convenient and disposable. They're great for a relaxing hit in a tight spot. They don't take a ton of maintenance and fiddling to use, so V2 e cigs are great for anyone new to vaping. V2 electronic cigarettes are especially popular with smokers who want to vape as a healthier alternative. People interested in a variety of flavors probably won't find what their looking for here. V2 has a the tobacco flavor that smokers will find comfortable and a menthol flavor for variety. The V2 with a full range of nicotine strength choices. You also get a lifetime warranty when you purchase your first unit, but do note that there are a few limitations to that just to keep off folks who might want to abuse these sweet offer. Let’s dissect each of our ratings and see how the v2 disposable cigarette lives up to the hype. For around $24, you can get a packet of 5 v2 disposable e-cigs. And since each can give roughly 400 puffs, that’s equivalent to about 2 cigarette packets. So, for 5 e-cigs, you have an equivalent of about 10 packs. Is that not a fair deal for your bucks? Remember that you also get to enjoy great flavors, a decent vapor and an overall healthier experience all for that little price. If you’ve ever used any v2 e-cig, you definitely are aware of the unique v2 cig vapor. Not only is the V2 disposable e-cig’s vapor dense but it also gives great throat hit. Not everyone likes the fruit and dessert-inspired flavors common to other electronic cigarettes, if like to keep it classy the v2 disposable e-cig is right up your alley. With it's classic tobacco flavor or the high class menthol, this unit was made for you. One great thing about the v2 disposable e-cig is that it packs not only the looks but also the feel of an actual cigarette. This should be good news to those trying so hard to quit smoking and embrace e-cigs. What’s more, no refilling, no charging, and other related little sophisticated tasks. Just pick your unit, puff it and when it’s dead, trash it. After you exhaust those roughly 400 puffs that each unit is entitled to, you are free to try out something else if, say, you didn’t like this e-cig or its flavor. If you compare the disposable e-cig to a full starter kit complete with rechargeable batteries, you will easily conclude that the latter is a better deal but disposals simply make an inexpensive way to get into vaping before you switch to trying out starter kits. 5 packs will cost you roughly $24, and 10 packs roughly $45. In spite of the fact that you cannot reuse them and that their cartridges have been permanently fixed to its single-use battery, it’s great to note that the disposables pack twice the amount of nicotine e-liquid that reusable e-cigs have. This means that they last even longer than reusable e-cigs. Every other v2 disposable review actually agrees that the company has one of the best customer service. So if an issue comes up, for instance, you wish to return the product after noticing a defect or you need help to figure something out, they are definitely going to be in touch as soon as possible and assist you to sort your issues out. One thing with owning a reusable e-cig is that you have to re-charge it every now and then; you have to pull out the battery and replace it when necessary; if the cartridge calls for a replacement or a refill, you have to do that, and so much more. Honestly speaking, that can be really frustrating to some people but thank the heavens that the v2 disposable electronic cigarettes are here to save the day. At just 1.8%, that’s a pretty safe nicotine concentration and it’s definitely not going to harm you. In fact, chances are this level might be reduced in future to almost zero. Even the passive smokers and the environment are pretty safe from it. Already, the product has a place among the leading nicotine free e-cigarette brands. Earlier on in our v2 disposable cigarette review, we saw that a person only has a choice of two flavors to pick from (the red tobacco flavor and menthol flavor). This isn’t particularly good news to those who want to try out the variety of flavors the vaping market has to offer. Admittedly, one of the biggest draws of vaping is building and tinkering with your own RDA, the V2 is positioned to attract new vapers and migrating smokers. More advanced vapers will be less interested in the V2. The v2 disposable e-cigarettes come in packages. of 3, 5, or 10. Unfortunately you can't buy them buy the "stick". Overall, a unit can last for well over 400 puffs. Each one of them is equivalent to roughly 40 smokes or 2 packs of cigarettes. V2 partnered with ZigZag to develop the finest quality flavored disposable electronic cigarette. Packets of 5 are available for $19.95,a available in nicotine strengths between 18mg/ml to 24mg/ml. You also get to decide the level of nicotine in your e cigs. Each cigs' nicotine content can be either 6 mg/ml (o.6%) up to 18mg/ml (1.8%). Or if you go for the ZigZag menthol disposables, you’ll have to choose between 18mg/ml and 24mg/ml. Its atomizer performs really well but as it nears the end, you will likely start to notice a burnt taste which is typical of every other disposable model. Overall, the flavor is of high quality and the vapor produced is thick and gives remarkable throat hits. Please check out the video below to discover a lot more about this unit. Disposable electronic cigarettes have in the past – and even now, come out as a an ideal option when one wants to try out an electronic cigarrete but remain unsure of whether they are going to like it or not. Also, there are a few of us who try so hard to quit smoking yet lack a better, inexpensive and safer option to go for. The good news today, just as we’ve seen in our v2 disposable review, is that the v2 disposable electronic cigarettes have you covered. You won’t require any special knowledge to use the unit, and even as you use it, you are set to enjoy its great flavors and thick vapor. Nicotine concentration has been kept to a minimum and so you no longer need to be concerned about your health. In fact, it’s up to you to decide which level you wish to use. V2 cigs partnership with ZigZag has also extended the range of options you have when it comes to puffs and nicotine concentration and so if you feel that the current set up doesn’t seem to work for you, be sure to check out this other options. Lastly, you are guaranteed value for your money since the unit’s quality has been well balanced with the pricing. In fact, you are set to get a lot more than you could ask for before you think of going for that starter kit.